Named after the Haitian god of agriculture, the Azacca hop has an intense tropical aroma with hints of citrus and mango. A touch of caramel malt gives a sweet backbone to support the righteous fruit character of this beer. Showing a burnt orange color and registering at 7% ABV, your taste buds will worship this heavenly, single-hopped delight. Azacca IPA is exclusively available in cans and on draft. 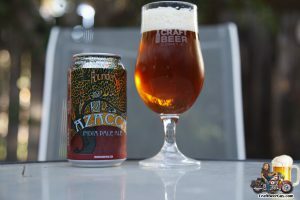 The suggested retail price for Azacca IPA is $17.99 for the 15-pack cans and $8.99 for the 6-pack cans.